Later this summer Brooke Henderson will be chasing a gold medal in Rio as she is likely to represent Canada at the summer olympics with the return of the golf competition. For now though, she’ll settle for a bit of the precious metal from her equipment sponsor, PING. On Thursday the 18 year-old from Smiths Falls was presented with a golden rendition of the putter she used to earn her LPGA Tour win at the Cambia Portland Classic. 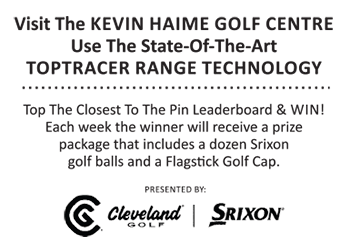 The company makes two versions of the putter – one to store in their vault at the company’s headquarters in Arizona and one that goes to the golfer. PING CEO and Chairman John Solheim made the presentation. Many suspect it might be the first of many such ceremonies for the talented pro. For now she has the first piece of gold she is looking for in 2016.